Fatbike is the most versatile, human-powered method of accessing the backcountry. Low tire pressure and lack of motor leave little to no trace, switching out tires and chain rings allow riders to utilize fat bikes during most seasons under most weather conditions, and the wide tires and rims let you ride terrain that is close to impossible to ride via standard mountain bike in a substantially safer fashion. Fatbike is the utilitarian solution to backcountry travel! Wider tires which are run at extremely low PSI (Pounds per Square Inch) and wider rims distribute and displace bike and rider weight, and that in turn leads to little to no tread markings on all types of terrain, including: grassy , two-track, single-track, technical (rocks and roots), and overgrown routes. Lack of motor reduces noise and air pollution in the backcountry. In other words, Fatbike is not a cause of environmental damage so long as Fat Bike is not ridden on anything but gravel roads during mud season. One Fatbike can responsibly handle most weather conditions. Responsibly is the operative term granted we do not ride ‘em, nor do we advocate riding ‘em, during mud season as routes, except those on gravel roads, are too soft and even Fatbike tires have too much negative impact during those few months. One is the magic number since all you need is one Fatbike to handle all your off-road riding so long as you switch out a couple components. Here’s what we do, tires: we run a set of low-resistance rollers for summer and fall months, that means a low-rise tread pattern to increase rolling efficiencies; and during winter we switch between a set of snow tires for solid snow conditions and a set of studded tires to handle icy conditions. Chain rings: we run a larger chain ring for summer and fall, and we opt for a smaller chain ring during the winter. The larger chain ring during summer and fall allows for faster downhill bombing, whereas use of the smaller chain ring during the winter makes pedaling easier when riding snow and ice. In other words, we customize our Fatbike fleet based on riding conditions to enhance your experience. Wide rims and wide tires not only lessen environmental impact, they maximize your fun! The wider stance not only creates stability, which is safer than skinny-tired bikes, it allows riders to thrive in steep, technical terrain with confidence. That opens many riding options: off-road riders no longer have to follow meticulously maintained trail lines to get their miles in. We are free to roam! Submitted by Up North Guided Tours, LLC for Forest and Lakes Monthly, and originally appeared in the Forest and Lakes Monthly October 2017 edition on page 7. Up North Guided Tours guides Fatbike and Snowshoe tours for all skill levels to places you have never seen on our fleet using our transport to and from our routes. We also rent out our equipment and sell off-road cycling apparel. Further we perform supplemental trail maintenance, advocate shared trail use, and provide youth services out of our Northwest WI location. We are in the Chicago Area during the Fall and Spring seasons, and we are in Cable, WI during the Winter and Summer seasons. We utilize all forms of off-road riding our areas offer, including routes that are unmapped and hard to find. We promise you a unique off-road riding experience! Call or email Josh for details 715/413-2076 or josh@upnorthguidedtours.com, see our site at www.upnorthguidedtours.com, and check us out on Facebook! What is Up North Guided Tours Doing (w/ Fatbike)? 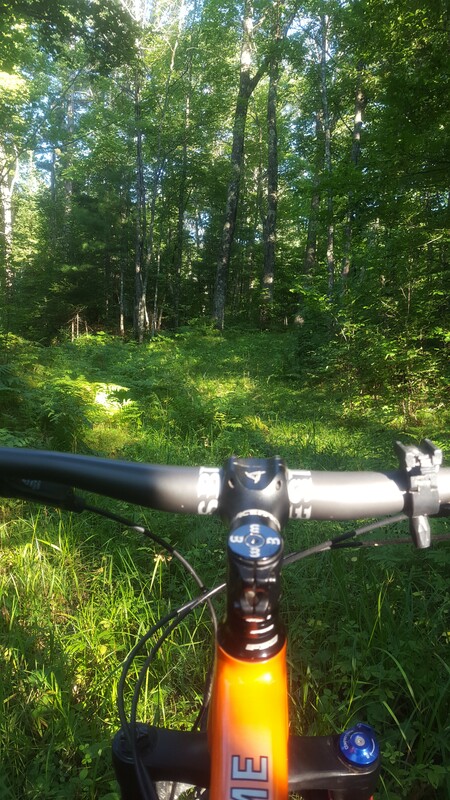 Blog #10: Can You Ride Fatbike on Trail that is Groomed for Nordic Ski Purposes?